So we were on our way up to Genting Highlands for a one day getaway (from the crazy heat in KL) and boy we were looking forward to some great food along the way! We’ve heard a lot about this restaurant called 126 Restaurant at Bukit Tinggi and decided to go give it a try. For those of you who are like my grandma who loves buying fresh fruits and vegetables (so do I, omg I think I got it from her) will be happy to swing by this place. More on this later. Let’s check out the food I had! 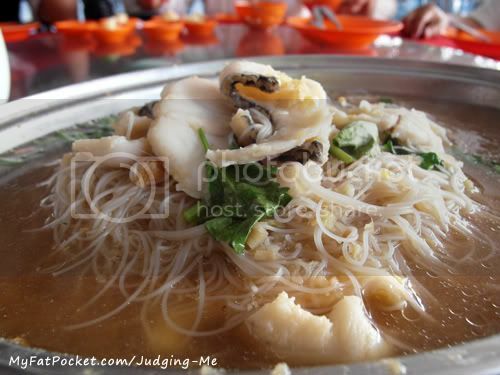 First up we had a ginger bee hoon dish with fish slices. The ginger is finely crushed/diced and cooked with the bee hoon. The fish slide were fresh and the taste of ginger blended well to make this dish quite flavorsome. For those who love ginger, I think you’ll enjoy this. 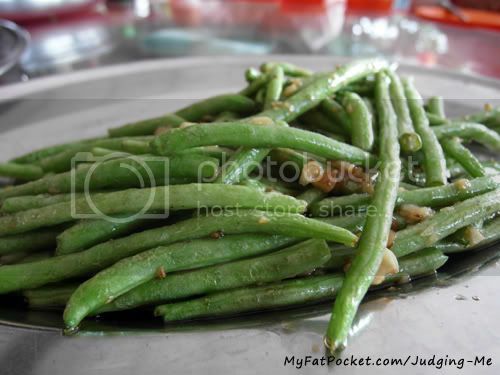 Next up is the garlic fried French beans. I love this dish. It’s really hard to get this wrong unless you put too much oil in it. A simple dish this one and the beans were fresh. The fried garlic bits were yums! This is a favourite dish of my family’s to order whenever we go up Genting Highlands. 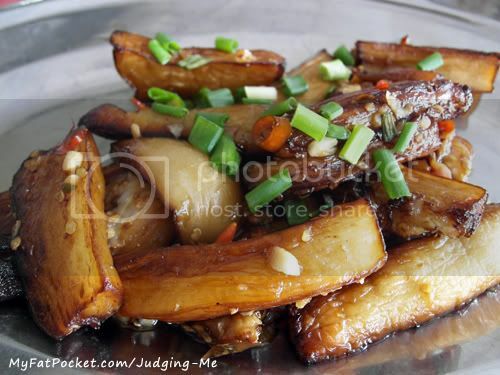 It’s fried brinjal with dried shrimps, chilli, garlic. No every restaurant does it well cos some, like this 126 Restaurant did it, might be a little too oily. I liked the taste but found it too oily. 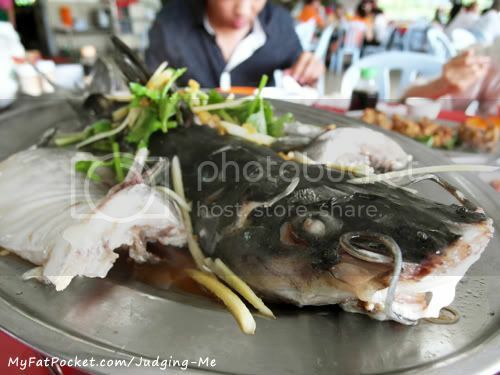 Oooo this next dish is the Soy Sauce Steamed Patin Fish. The key to this dish is the yummylicious (read: fresh) patin fish. The fish meat is chewy and firm. The sauce is excellent (I caught myself sipping the sauce). If you come by here, this is a must order. 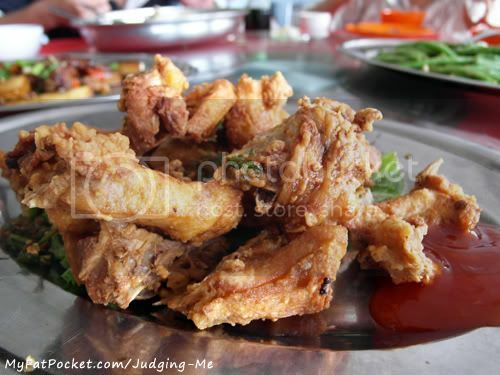 This dish is called the Fermented Bean Paste Fried Chicken. I was chosing between Steamed White Chicken or this but sine I just got back from a crazy one day eating tour of Ipoh, which included a lot of white chicken, I decided to go for this fried version. It’s a disappointing dish. The chicken was overcooked and hard. I didn’t taste or find anything special about this dish. Previous Post Gossips on MFP! Next Post Campus Spotting by MFP – Are you/your friend one of them?